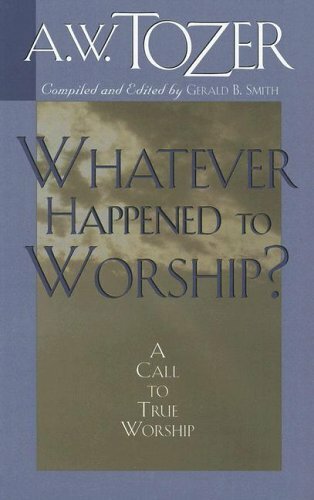 My understanding of the nature of worship was radically transformed by a fundamental truth I found in C.S. Lewis, who died 50 years ago this month. What Lewis helped me grasp is best explained by looking briefly at his own struggle with worship as he explained it in the essay titled, “A Word About Praising,” in his short book, Reflections on the Psalms, pages 90–98 in my worn, 1958 edition. In a word, Lewis enabled me to recognize that not only was it permissible to enjoy God in worship, it was absolutely essential if I was truly to honor him. 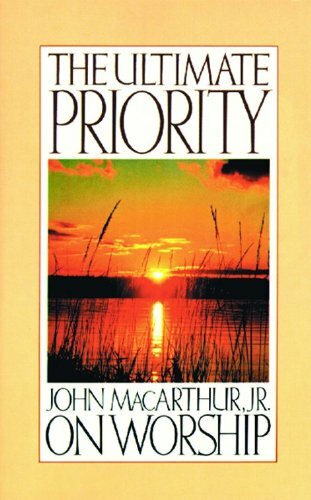 He said it in this one profound statement: “I think we delight to praise what we enjoy because the praise not merely expresses but completes the enjoyment; it is its appointed consummation.” But there is a lot that leads up to this statement. As a young man, Lewis was more than a little agitated by the persistent demand, especially in the Psalms, that we all “praise God.” What made it even worse is that God himself called for praise of God himself. This was almost more than Lewis could stomach. What kind of “God” is he who incessantly demands that his people tell him how great he is? Lewis was threatened with a picture of God in which he appeared as little better than a vain woman demanding compliments. Thanking God for his gifts was one thing, but this “perpetual eulogy” was more than Lewis could stomach. I suspect this strikes us as problematic, as it did Lewis, because we want to think that God is preeminently concerned with us, not himself. We want a God who is man-centered, not God-centered. Worse still, we can’t fathom how God could possibly love us the way we think he should if he is so unapologetically obsessed with the praise and glory of his own name. How can God love me if all his infinite energy is expended in the love of himself? Part of Lewis’s problem, as he himself confesses, was that he did not see that “it is in the process of being worshiped that God communicates his presence to men.” Even in the old-covenant sacrificial system, it wasn’t so much that the Israelites gave bulls and goats to God “but that by their so doing God gave himself to men.” God is, after all, the creator and owner of the cattle on a thousand hills. If he were to become hungry, so he says in Psalm 50:12, he would hardly need to tell us! But the most obvious fact about praise — whether of God or anything — strangely escaped me. I thought of it in terms of compliment, approval, or the giving of honour. I had never noticed that all enjoyment spontaneously overflows into praise unless . . . shyness or the fear of boring others is deliberately brought in to check it. The world rings with praise — lovers praising their mistresses [Romeo praising Juliet and vice versa], readers their favourite poet, walkers praising the countryside, players praising their favourite game — praise of weather, wines, dishes, actors, motors, horses, colleges, countries, historical personages, children, flowers, mountains, rare stamps, rare beetles, even sometimes politicians or scholars. . . . Except where intolerably adverse circumstances interfere, praise almost seems to be inner health made audible. . . . I had not noticed either that just as men spontaneously praise whatever they value, so they spontaneously urge us to join them in praising it: “Isn’t she lovely? Wasn’t it glorious? Don’t you think that magnificent?” The Psalmists in telling everyone to praise God are doing what all men do when they speak of what they care about. My whole, more general, difficulty about the praise of God depended on my absurdly denying to us, as regards the supremely Valuable, what we delight to do, what indeed we can’t help doing, about everything else we value. What Lewis is touching on here is how the love of God for sinners like you and me is ultimately made manifest. God desires our greatest good. But what greater good is there in the universe than God himself? If, therefore, God is truly to love us, he must give us himself. But merely giving us of himself is only the first step in the expression of his affection for sinners. He must work to elicit from our hearts rapturous praise and superlative delight because, as Lewis said, “all enjoyment spontaneously overflows into praise.” That’s the way God made us. We can’t help but praise and rejoice in what we most enjoy. The enjoyment itself is stunted and hindered if it is never expressed in joyful celebration. I think we delight to praise what we enjoy because the praise not merely expresses but completes the enjoyment; it is its appointed consummation. It is not out of compliment that lovers keep on telling one another how beautiful they are; the delight is incomplete till it is expressed. It is frustrating to have discovered a new author and not to be able to tell anyone how good he is; to come suddenly, at the turn of the road, upon some mountain valley of unexpected grandeur and then to have to keep silent because the people with you care for it no more than for a tin can in the ditch; to hear a good joke and find no one to share it with. So, Lewis is telling us that God’s pursuit of our praise of him is not weak self-seeking but the epitome of self-giving love! If our satisfaction in God is incomplete until expressed in praise of him for satisfying us with himself (note well, with himself, not his gifts), then God’s effort to elicit my worship (what Lewis before thought was inexcusable selfishness) is both the most loving thing he could possibly do for me and the most glorifying thing he could possibly do for himself. For in our gladness in him is his glory in us. Sam Storms is lead pastor for preaching and vision at Bridgeway Church in Oklahoma City, Oklahoma. He is on the Board of Directors of both Desiring God and Bethlehem College & Seminary, and also serves as a member of the Council of The Gospel Coalition. Sam’s a husband, father, grandfather, and author. His latest book is Packer on the Christian Life: Knowing God in Christ, Walking by the Spirit. Previous Study: Shamach, put a smile on your face!